Musical performance by an all-male steel band. The steel pans were made from Esso metal drums. 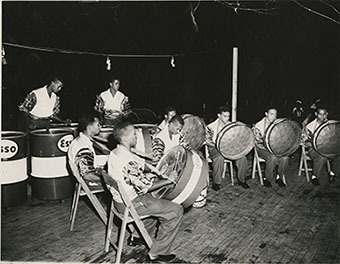 “A steel band,” National Library of Jamaica Digital Collection , accessed April 20, 2019, https://nljdigital.nlj.gov.jm/items/show/5177.